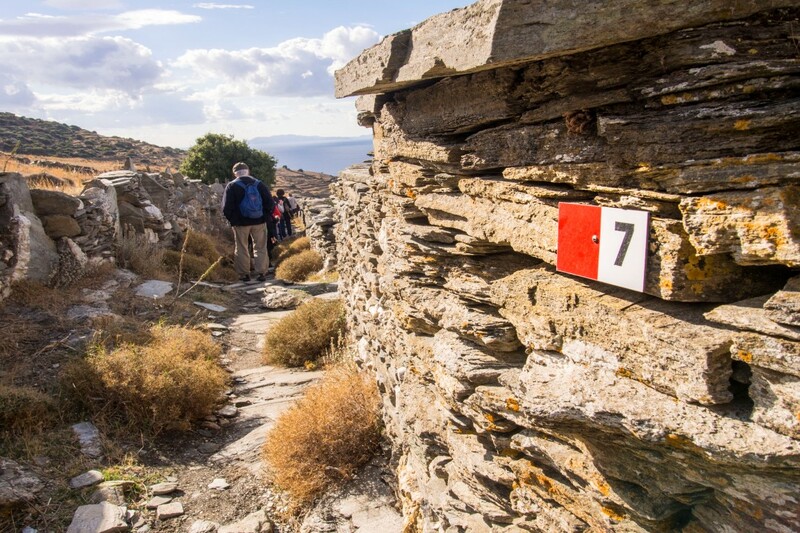 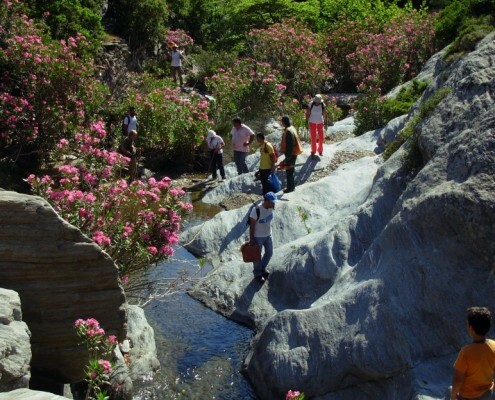 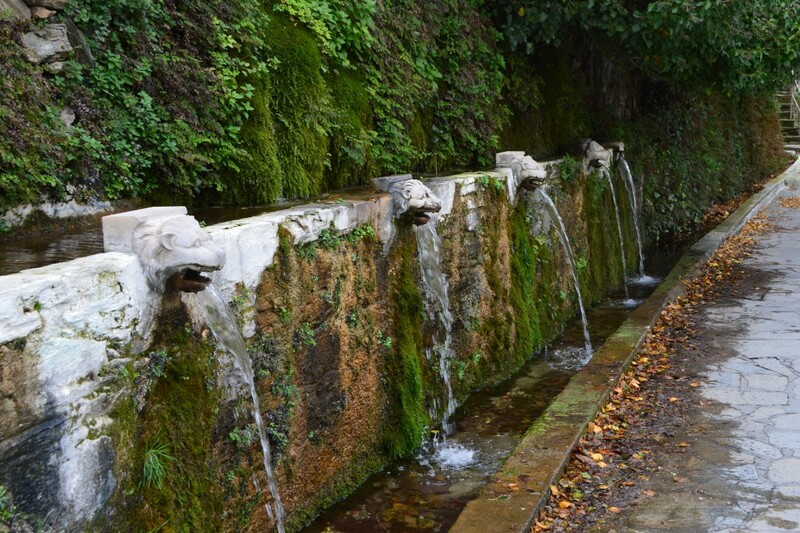 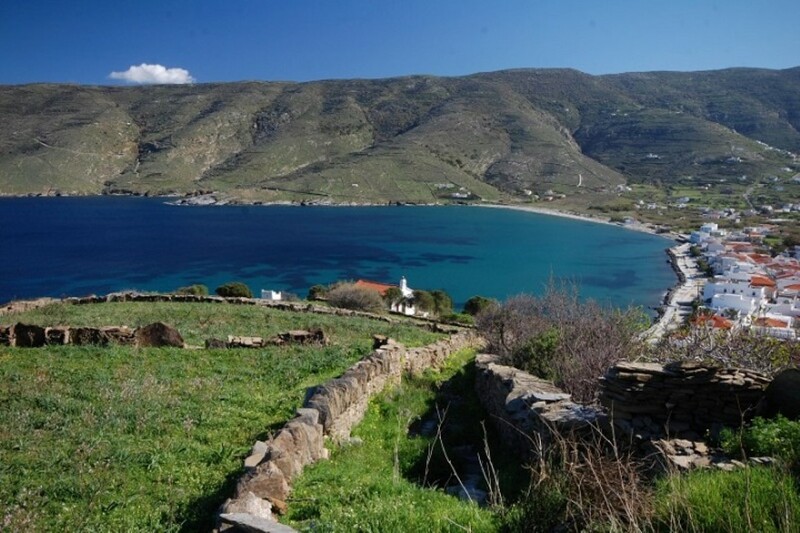 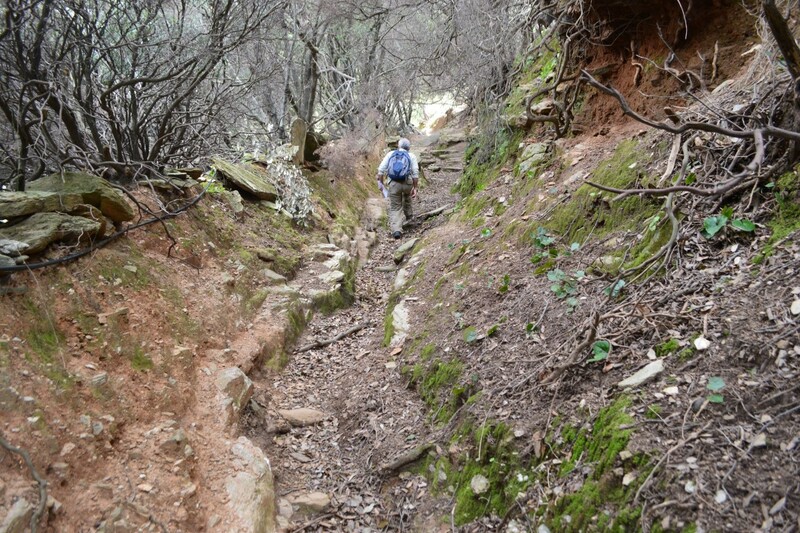 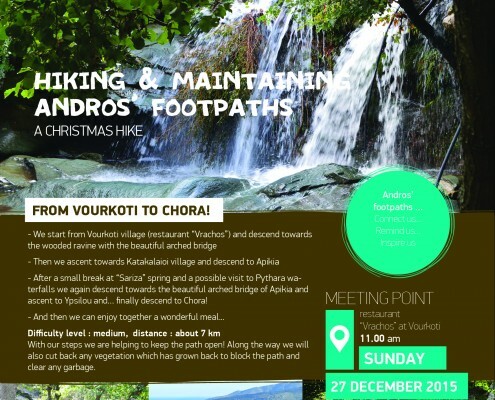 A Christmas hike to maintain the paths of Andros- from Vourkoti to Chora ! 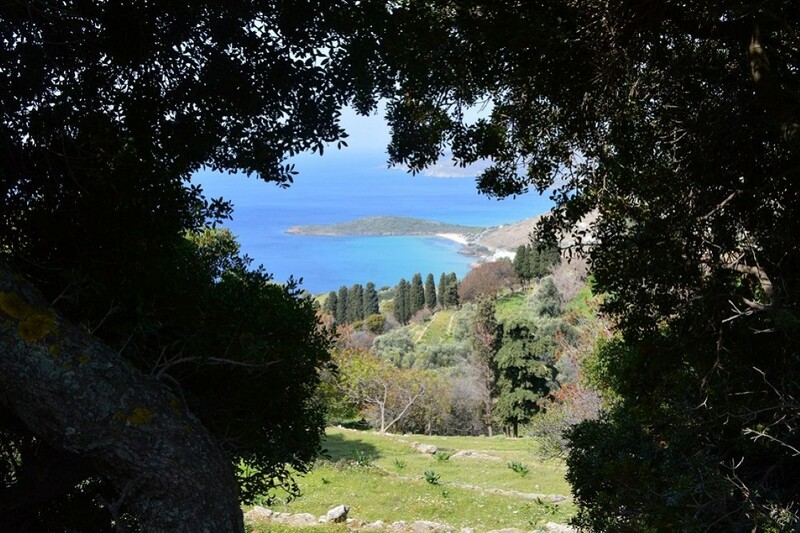 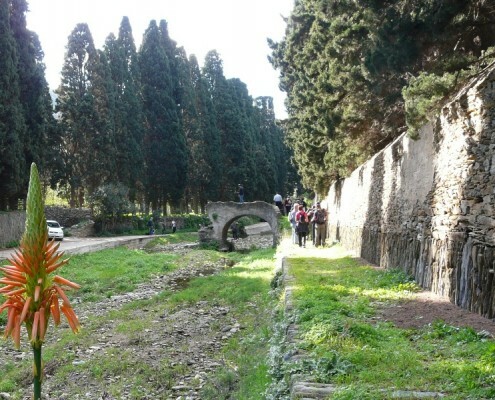 https://www.androsroutes.gr/wp-content/uploads/2015/12/No12_ENG-e1450889587905.jpg 1451 1755 olga http://www.androsroutes.gr/wp-content/uploads/2013/04/green.png olga2015-12-23 17:18:502015-12-23 20:55:54A Christmas hike to maintain the paths of Andros- from Vourkoti to Chora ! 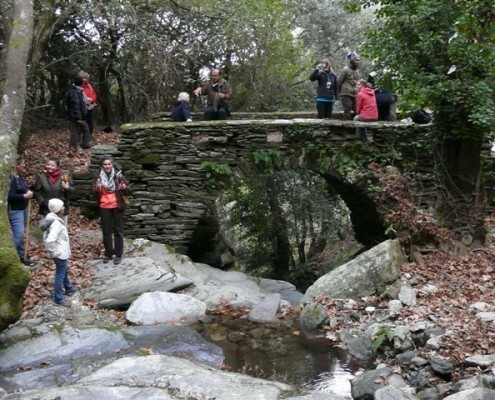 At the hike to maintain in Arni area… another arched stone bridge ! 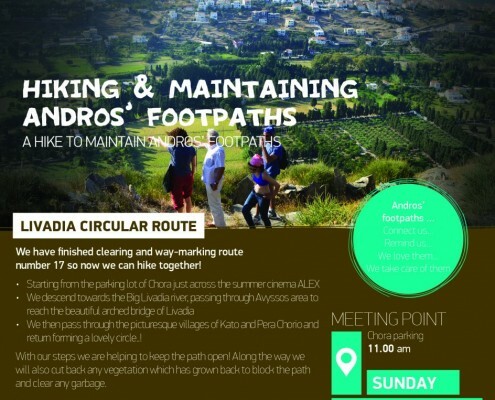 https://www.androsroutes.gr/wp-content/uploads/2015/12/P1250387.jpg 480 640 olga http://www.androsroutes.gr/wp-content/uploads/2013/04/green.png olga2015-12-16 10:26:252018-07-04 12:42:56At the hike to maintain in Arni area… another arched stone bridge ! 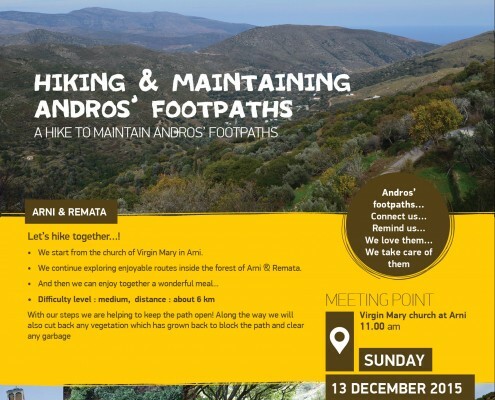 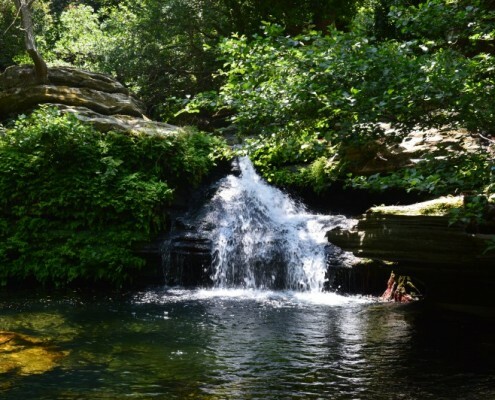 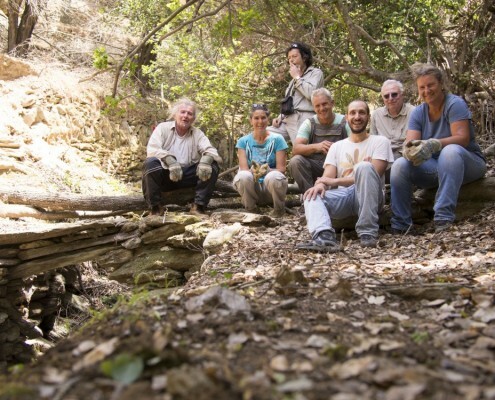 3d hike (2015-16) to maintain Andros' paths- at the wooded Arni ! 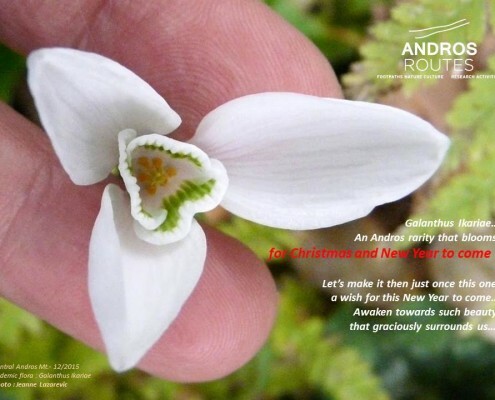 https://www.androsroutes.gr/wp-content/uploads/2015/12/No11_ENG-1-e1449819731670.jpg 1426 1755 olga http://www.androsroutes.gr/wp-content/uploads/2013/04/green.png olga2015-12-10 16:03:012015-12-11 09:44:143d hike (2015-16) to maintain Andros' paths- at the wooded Arni !